Hello Germany! / Hallo Deutschland! I woke up and took a selfie, before heading out into the rainy morning. 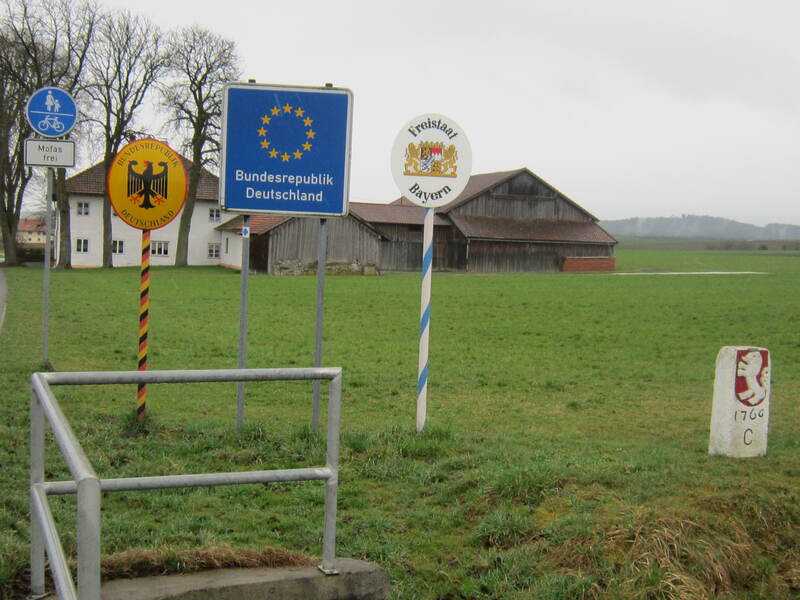 Still cold as I approached the German border. 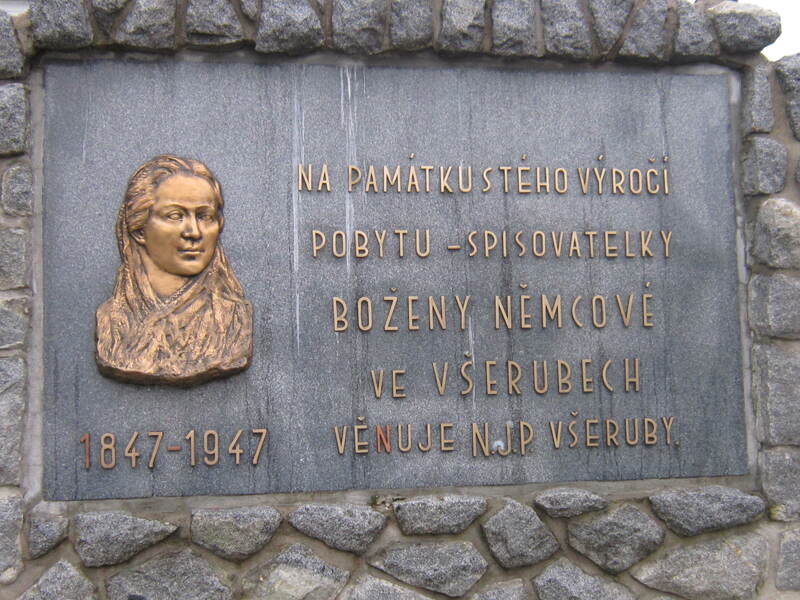 Around midday I crossed the Czech border and entered Germany. 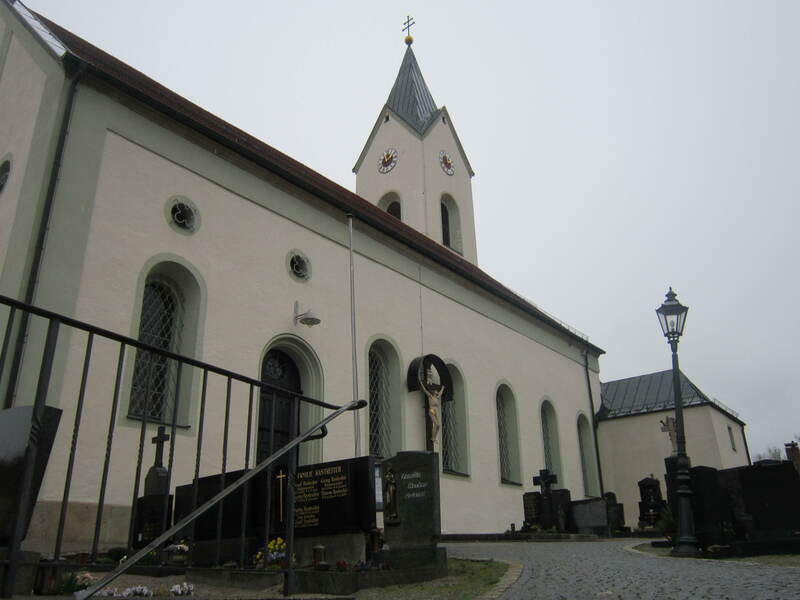 A lovely stroll in pouring rain ensued to the Bavarian town Eschlkam, where I (very) briefly enjoyed a short mass at Saint Jacob’s church. 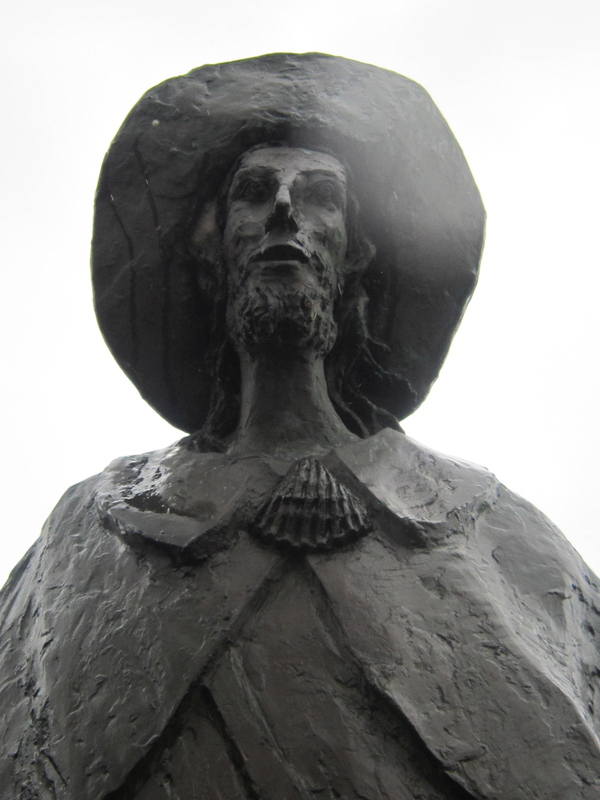 Pilgrim statue at Eschlkam, with scallop shell. 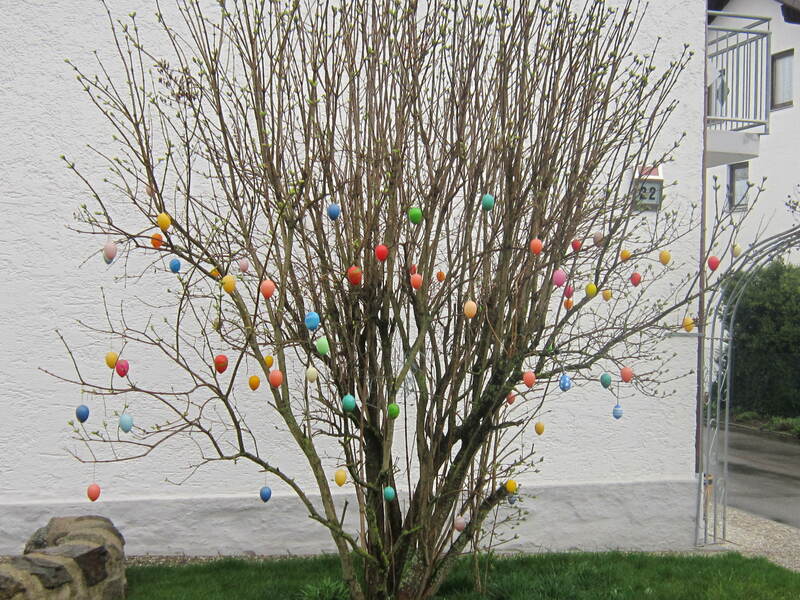 Easter egg tree in Eschlkam. 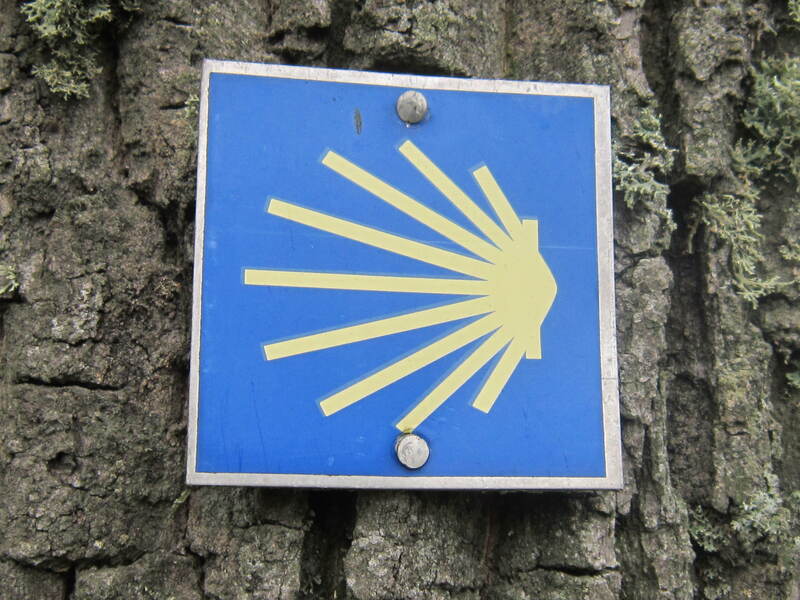 The familiar Camino scallop shell signs, sign the way extremely well here in this part of Germany. Very impressed with the signage so far. In Eschlkam I decided to stop in for a soup and was SO pleasantly surprised to see a sign specifically welcoming Camino pilgrims. 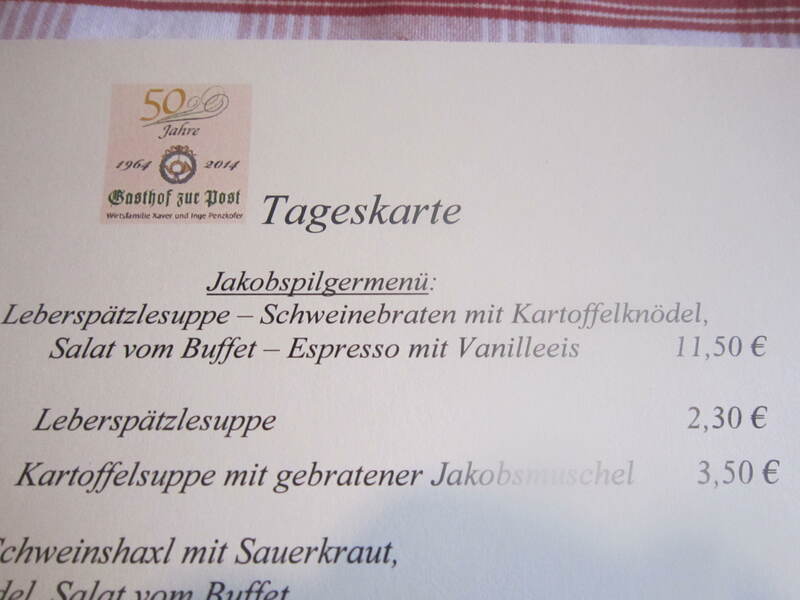 My soup was the standard German price; meaning 3 times what it would be in the Czech Republic. Got to begin budgeting. The pilgrim menu on offer. 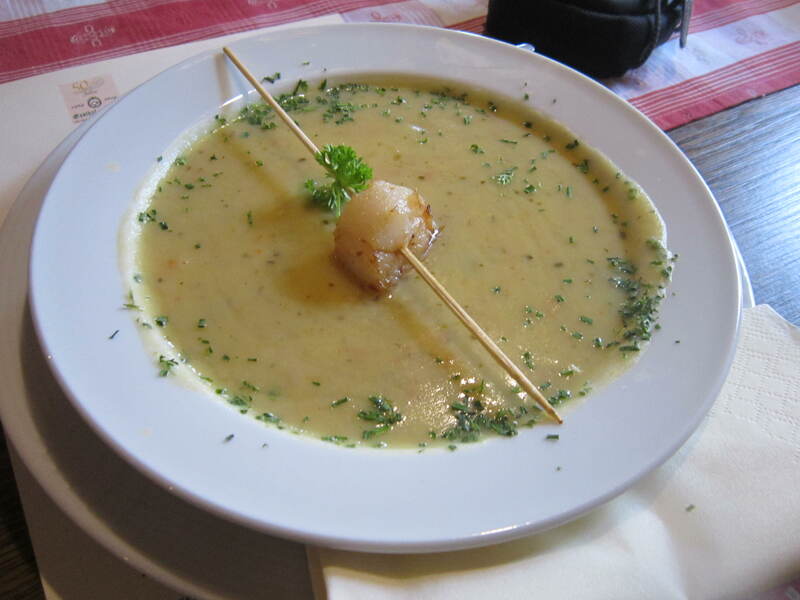 My pilgrim soup was awesome, albeit expensive. When I walked into the restaurant there was a group session taking place. It happened that it was a group of future pilgrims attending an afternoon Camino presentation: they got to learn about the Camino de Santiago through a photo slideshow and guest speakers. 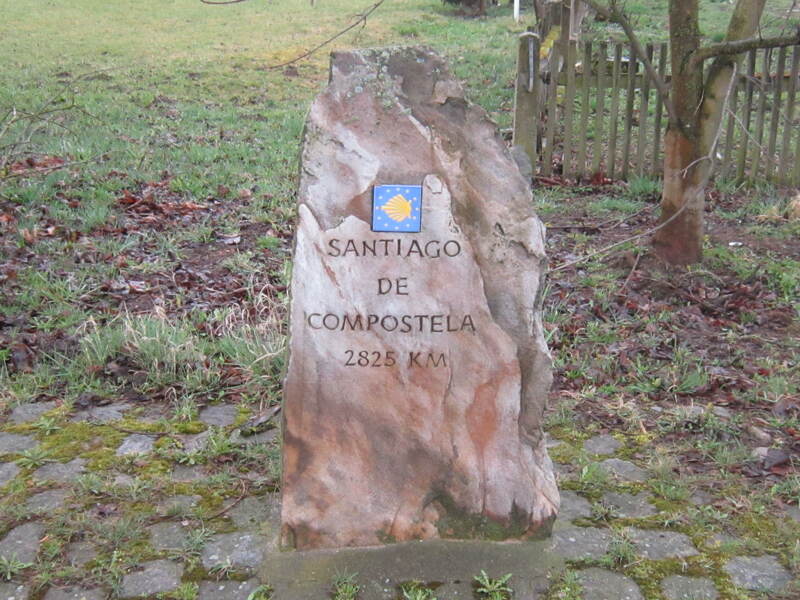 They plan to walk the last 100km in the summer from Sarria to Santiago. I had a chat with the few of them who spoke English, and who had questions regarding the walk. One of the pilgrims btw let me know that the church at Muxia burned down last December. My name is Debra, and I am writing this morning from Atlanta, Ga. Wonderful photos from your camion this summer! Congratulations. We have just returned from the Lisbon to Santiago path two weeks ago. 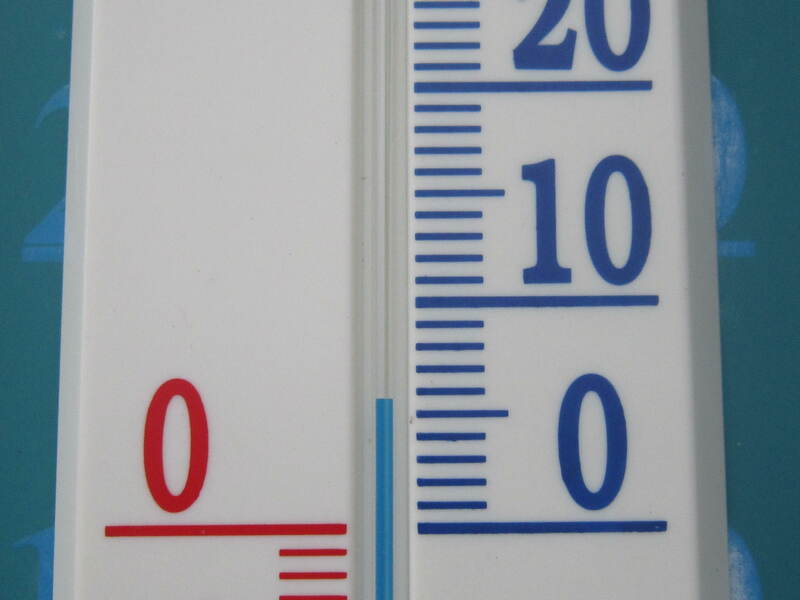 Hot, and good! 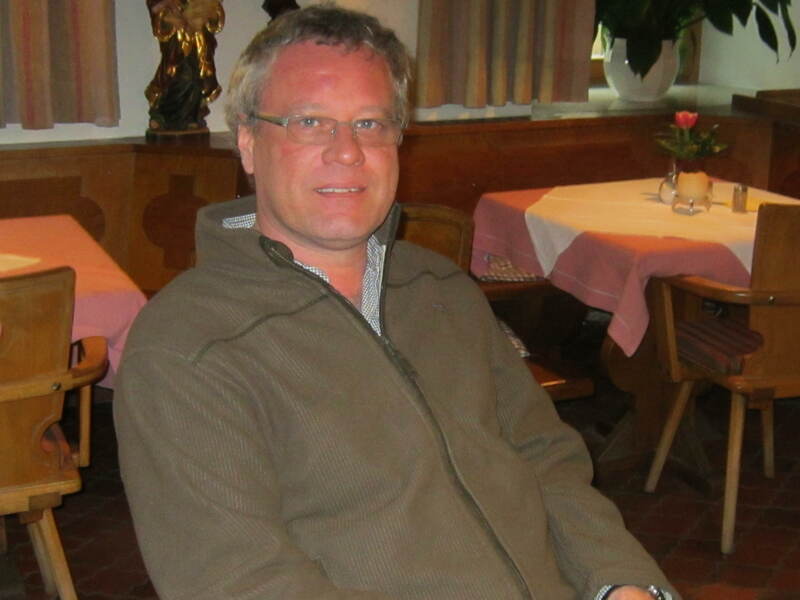 I came across your blog as I have been searching for english language books, websites, maps or anything else that can help us with the Nurnburg to Konstanz camino path. Did you do this part at all? We are interested in doing it next July. Any guidance or insight you can offer would be very much appreciated! 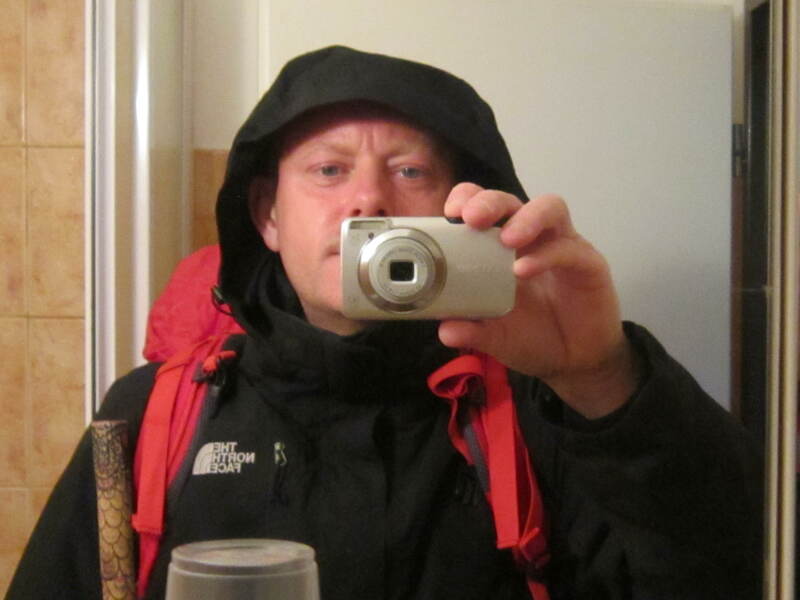 Thank you for your comment and congratulations likewise on completing the Camino Portugues! 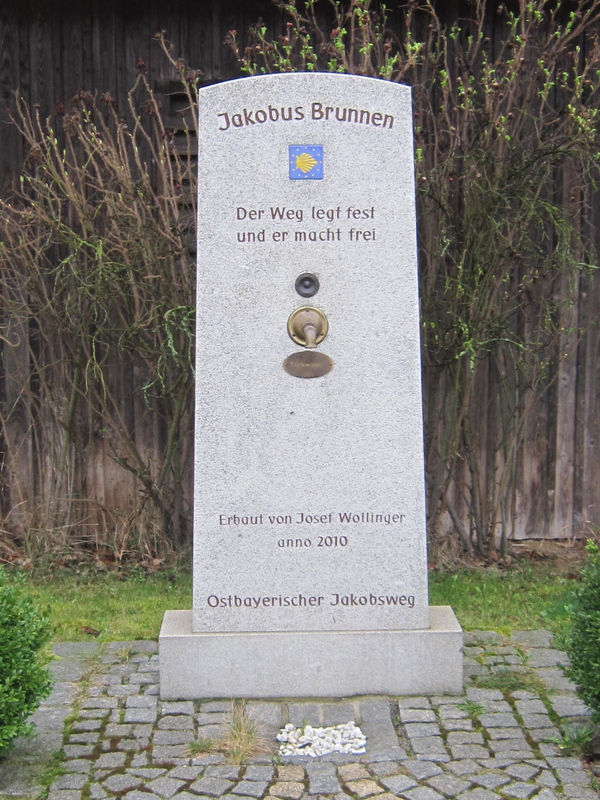 The part I walked in Germany was from the Czech border to the Regensburg – Konstanz camino path, via Ulm. 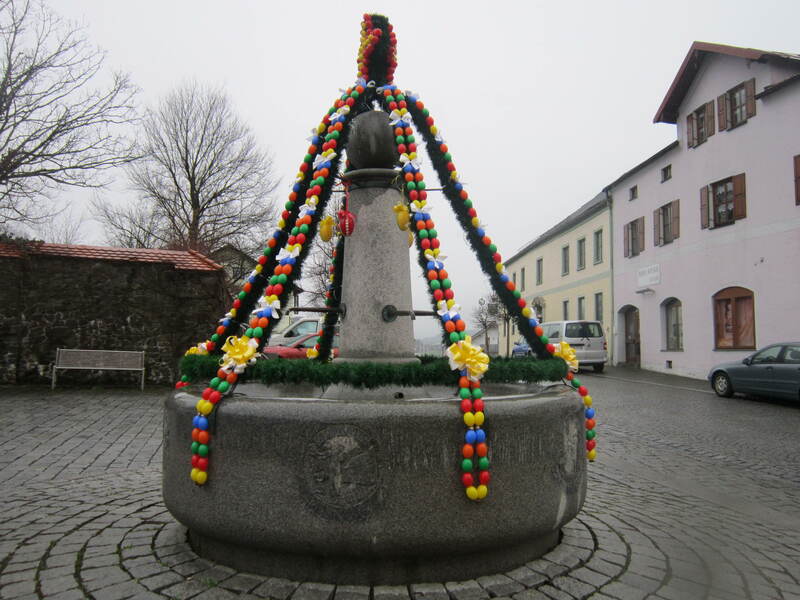 Walking from Nurnburg to Konstanz you will meet up with the way I walked from Ulm and I kept a blog post every day of my walk. You can read about this section of the walk (https://mycaminosantiago.com/category/walking-into-spring-and-summer-my-3109km-walk-from-prague-to-finisterre-2014/). I made notes on the path, as well as places where I stayed and of course general Camino path tips and observations. It’s a lovely walk, although the signage is very poor at times. If you have any further questions after reading the blog posts then I’d be very happy to oblige.